Voting for Imirt's new board will take place from Thursday 4th to midnight on Thursday 18th October 2018. Details of how to vote will be sent to members by e-mail on Thursday 4th October. To vote you must be a registered Imirt member. You can sign up for Imirt membership for only €20. Please sign up by midnight on Wednesday 17th October so that your membership can be processed in time to vote before the deadline. If you have previously registered, your membership is valid until the end of 2018, there's no need to sign up again. 3 out of the 7 board seats are being contested in this election. Board members Stephen Kelly, Jen Carey, and Alan Duggan will be standing down. Many thanks to Stephen, Jen and Alan for their great contribution to Imirt and the Irish game developer community over the last several years, we wish them every success in future. If you have any questions please email contact@imirt.ie and thank you for supporting Irish game developers! Josh Loveridge is the founder and managing director of Loveridge Designs, a game studio in Co. Wicklow. Loveridge Designs has been in operation for over 3 years and is expanding exponentially each passing month. Our latest title "The One We Found" is releasing on PC, PS4 and Xbox One this year and we have released numerous titles on mobile which have seen varied success. Josh is enthusiastic to assist in transforming the game industry in Ireland. 1 - I would like to try and assist other companies to become profitable within the gaming industry. It is extremely difficult at times to remain profitable, but i have gained the knowledge and skill set to assist others in becoming a profitable company in the long run. Longevity is key within any business and i personally feel that the support networks currently are lacking for some studios. 2 - Help Imirt reach more students and educators. 3 - Make Imirt more inclusive of people with social communication disorders such as Autism Spectrum Disorder etc. Robin is an analogue game designer and a writer for games and television. He has already taken large steps to develop the analogue design community in Ireland, playing a major organising role in Playtest Dublin (fortnightly public playtest events) and Celtic Cardboard (a network for analogue publishers). He has several published games, including Movable Type, which won the 2016 Imirt Award for Best Analogue Game, and the upcoming Essen Spiel release, Tag City. 1. To ensure that Imirt is representative of the whole gamut of game makers in Ireland. Imirt does a great job for digital makers; I want to extend that same support to boardgame and tabletop role-playing game makers. The analogue game space here is always growing - I want those makers to feel welcome in Imirt. 2. To make efforts to bring Irish-made games to the wider attention of the public. Imirt should have resources available about relevant conventions at which members can exhibit their games and then provide an interface between Imirt members and convention organisers. This should help members find events which suit their needs and negotiate with those event organizers in a constructive way. 3. With the above in mind, for Imirt put on its own public-facing event, bringing Irish-made games to audiences beyond the normal convention crowd. Current CEO at Fierce Fun. Establish Funding Structures for Irish Developers. While there is great talent in the Irish film & animation sectors, the main reason for their growth has been the availability of funding for new projects. We need something similar for games. 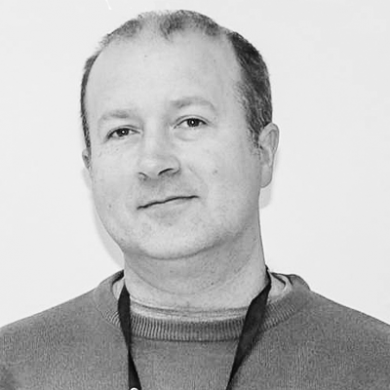 Keith is Technical Director and CTO of Romero Games, as well as a graphics and engine programmer. He was previously a Technical Lead at Ubisoft on titles such as Far Cry 5, Watch_Dogs, Far Cry Primal and Far Cry 4, and before that a graphics programmer on the Prototype series at Radical Entertainment. He holds a Ph.D. in Computer Science from Trinity College Dublin. He has had game development articles published in Game Developer Magazine, Gamasutra, GameDev.net and elsewhere, as well as graphics research papers at leading conferences such as Siggraph, Eurographics, and I3D. He also enjoys talking about game development to anyone who will listen, having given talks at Trinity College Dublin, University of Limerick, State of Play, Galway Games Gathering, and internally at Ubisoft and Radical. There has been a surge of success and growth in the Irish game development sector in recent years, and with that comes valuable experience. I believe the best future for the Irish industry lies in capitalizing on this experience to bolster upcoming talent, and the best way to do that is to establish a mentorship program for Imirt members. Beyond this, I want to continue encouraging practical gamedev skill development in the Irish community in whatever way possible - particularly by encouraging development-focused events, and strengthening communication between the industry and academia. It's important that education keeps up with the latest industry practices and technology, and I want to help ensure Imirt is in a good position to advise on this.